Rock & Metal 4 You: JORN LANDE is ready to release his new album "Traveller" in June! 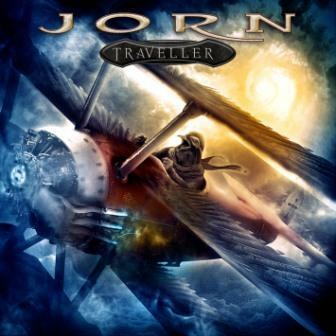 JORN LANDE is ready to release his new album "Traveller" in June! Many Avantasia fans were disappointed when Tobias Sammet announced that Jorn Lande won't be part of the new Avantasia record and tour. Obvious, Jorn had other plans and now it turns out that this means Jorn is busy with his solo career. His new record "Traveller" will hit the stores on June 11th 2013 in North America and on June 14th in Europe via Frontiers Records. Jorn surprises with his new "partner in crime": guitar player Trond Holter! Most of you will know him as "Teeny", the Axeman of the Norwegian glam rock heroes WIG WAM. He also produced "The Traveller" together with Jorn. You want to hear how this fits together? Then have a look at the video below! Jorn released close to 40 albums with various bands/projects ... a true workaholic and one of the most gifted singers in the Rock/Metal genre.